It's only been a mere 6 months on this coparenting journey, but we have found that these simplistic guidelines have helped Hudson adapt to having two homes. Coparenting is challenging for everyone involved, but you can make things more comfortable for your kid(s) if you listen to their desires and accommodate them without hesitation. 1. 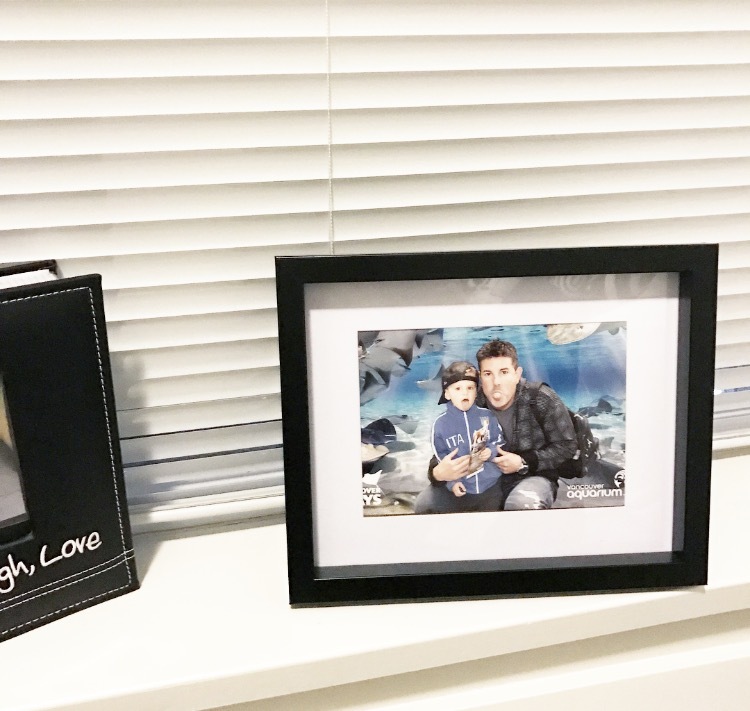 Photos of the other parent in their bedroom - A constant reminder that mommy or daddy is always with them and watching them. Whenever Hudson has new guests come over, he's always so proud to show off his room, and without fail he points out the photo of his dad and him. Super cute! 2. Allowing them to transfer things back and fourth - No matter what it is (within reason), if my son asks to bring something to Daddy's, my answer is always, "of course"! We've been dragging his hockey stick (and gear, and his scooter and bike) and anything else he wants to and fro since day 1 of coparenting. 3. FaceTime, photos and videos - It doesn't have to be a long call, but a quick check-in at several points in the day sure helps a ton. This eases the pain of missing your kid(s), while ensuring you're genuinely interested in their day while you're not with them. Saying good morning and goodnight is an essential part of our day. Pictures are so important, too, so you can feel part of whatever it is your babes are doing without you; especially if you have FOMO like me! 5. A common pillow, blanket, or stuffy that travels with them - To me, this is a no brainer. 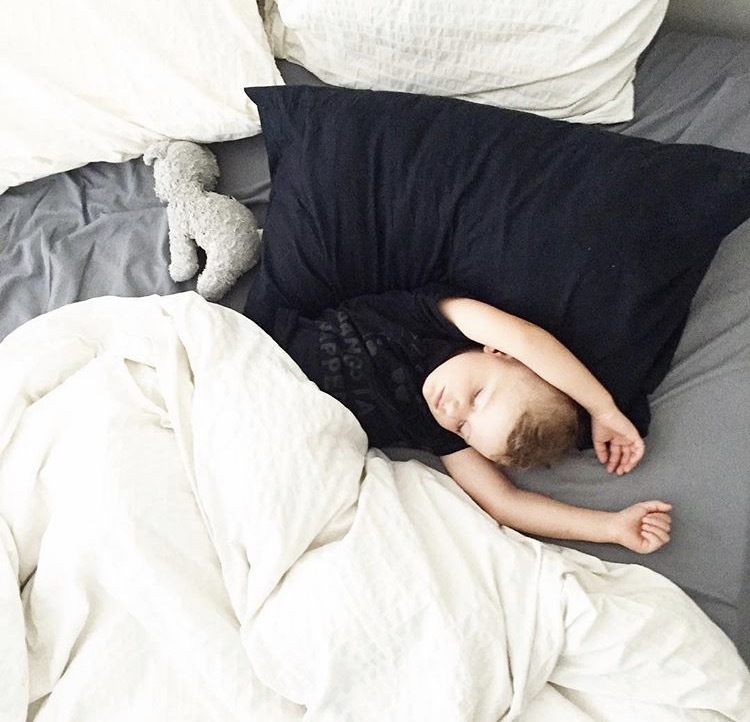 Even as adults, we prefer our own pillow or blanket, etc., so having your kid(s) transport whatever it is that ensures they have a safe, comfortable sleep should be a given. Hudson has not gone a day or night without his stuffed dog, and we wouldn't have it any other way! 'Doh Doh' is part of the fam. 6. Same routines at both homes - Again, consistency is super important in their lives. Knowing that routines are the same at both homes will help them learn and understand what to expect and what they are held responsible for. 7. Thoughtful gifts on behalf of the kid(s) - Such a simple way to show your kid(s) that you care about their other parent. Make them part of the process to find something special for their mom or dad. This always makes Hudson feel so proud to have picked out something meaningful for his daddy. Obviously these things take a lot of communicating and teamwork. It's not easy, but leave all resentment and/or animosity between you and your ex behind, and chat about these simple things for your kid(s). If you love them enough (like I know you do), you'll do anything to make them happy and comfortable. We'd love to hear some other suggestions. Leave us a comment below!